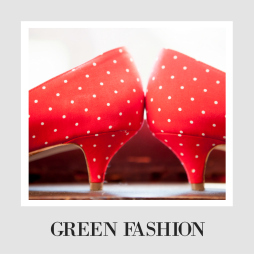 This month has been all about being more environmentally conscious when we grocery shop. 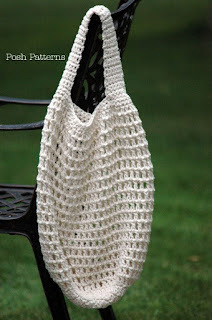 Who wants to guess how many times I have mentioned reusable bags? It has been a lot. Looking for your reusable soulmate? 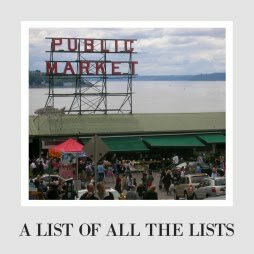 Here's where to find it. Want to give a gentle nudge to your loved ones? I don't know anything about that. I only boss aggressively. But these would make great gift wrapping they can reuse. 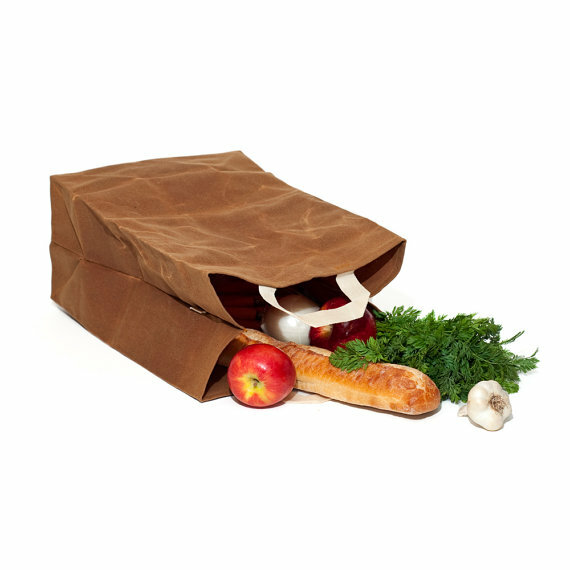 WAAMIndustries (Minnesota) makes market bags and lunch bags out of waxed canvas. These look like the kind of bags that will last you for years, and the store has literally perfect reviews. Might be a cool way to wrap gifts as well! They say once you have one of these bags, you won't leave home without them. I believe it. 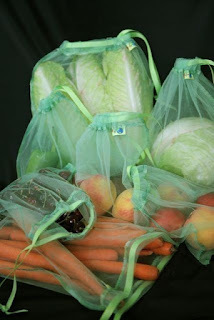 Love for Earth (Virginia) makes all sorts of produce bags in lots of colors. My basic theory is that produce bags are mostly unnecessary, but if you do need some, these will save thousands of those little plastic bags from heading to a landfill. I also like these ones from Generation Me. 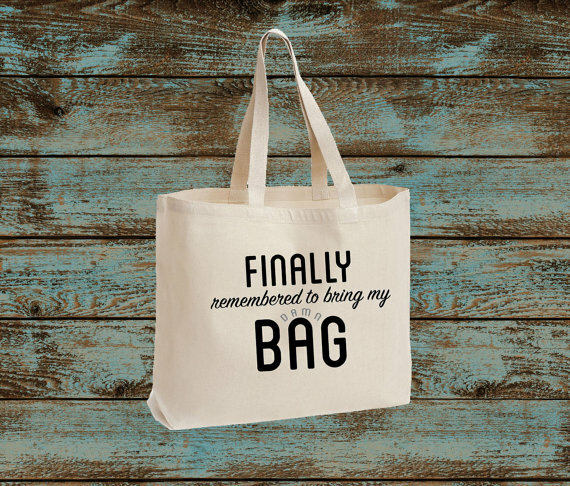 Yay for Friends (California) sells a tote that I love, but I bet you can find one that fits you perfectly on this site. 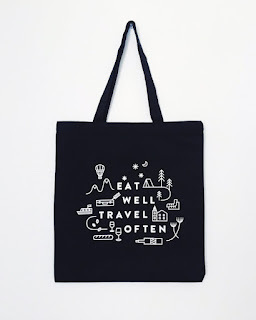 There are so many tote bags on Etsy, from encouragement to shop local to this gem. I love this one from Yield Design Co, but you have to be really fancy to put your groceries in there. 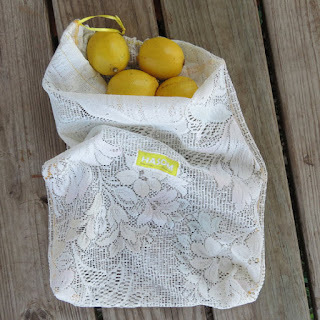 HASOMbags (Texas) makes little produce bags out of interesting upcycled fabric. Such a genius use for fabrics people may otherwise not want anymore (I mean really, who still uses lace curtains? Grandmas have even moved on). If you are thinking about wrapping a gift in something zero waste, instead of paper, this would be cool. 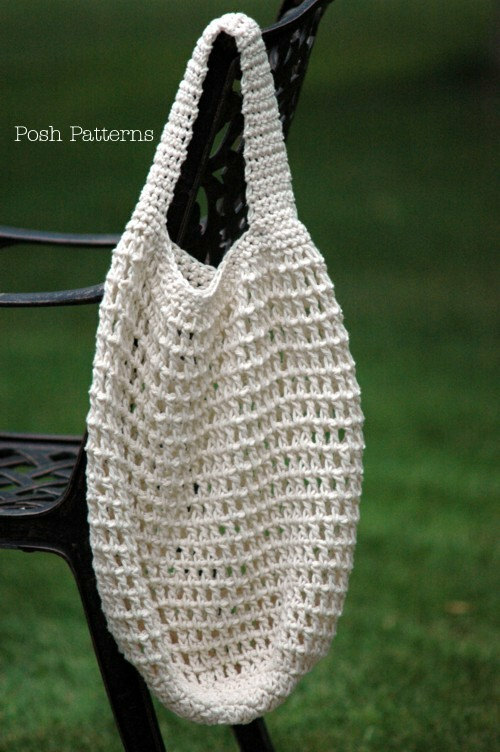 Posh Patterns (Wisconsin) and may other stores offer crochet patterns for grocery bags so you can make your own, you handy person!